From the 25th until the 30th of March I attended my on-arrival training which was meant as a week of training for all the volunteers who have recently started with their voluntary projects in the same region. The 6 day training took place in Coma-ruga, which is a small town in Catalonia with a beautiful seaside. This was my first ever experience attending this kind of a training course and I have to say that it was a great learning experience. 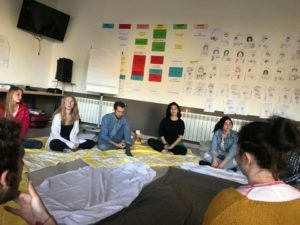 The training involved in itself many different aspects, starting from a course with the reflexion about what does it mean to be a volunteer and why volunteering can have a great positive impact on our societies. 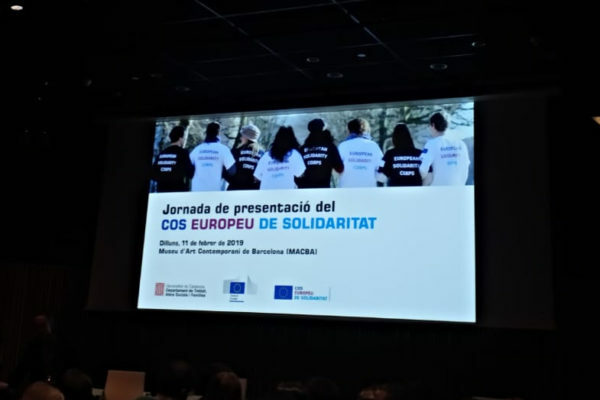 Furthermore, during the program activities we had time to think more profoundly on what each of our voluntary projects consist of and why we had chosen to start a European Voluntary Project. In addition, the on-arrival training touched on some very important and interesting topics like conflict management, intercultural interaction, team building, socio-historical situation of Spain and provided some useful information on Erasmus+ program and the European Solidarity Corps. All these activities were carried out through different interactive exercises that in my opinion greatly benefitted all the participants, as it gave us a better understanding of the topics. 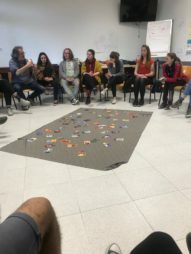 I am most glad about the fact that during this week of training I got the chance to meet other volunteers who are in voluntary projects in the Catalonia region. 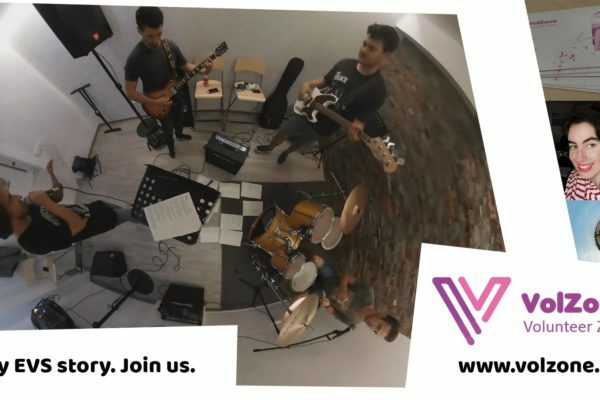 This was a great opportunity to get to know new people who share similar interests with you and who are going through the same process of being a volunteer abroad. 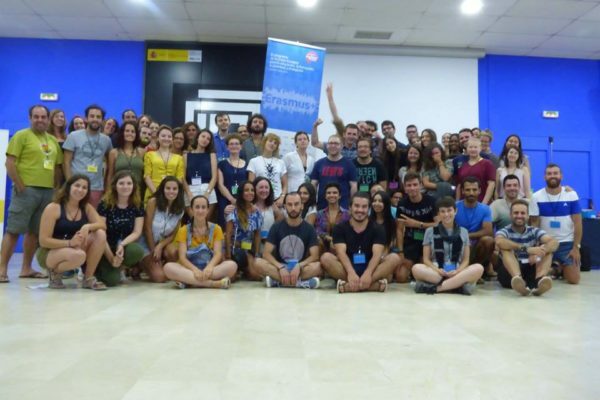 I had the chance to get more information on different voluntary projects that are currently happening in Catalonia and share my experiences as a volunteer and also find out about other people’s experiences as volunteers. I enjoyed this process a lot and I am glad that I got the chance to meet other volunteers and spend a great week with them in Coma-ruga. Thanks to the on-arrival training I have made some new friends with whom I can meet up and we can all together enjoy our time here in Catalonia while participating in our voluntary projects.